Medical marijuana continues to be debated in Harrisburg as polls show support is growing among residents. Support for legalizing medical marijuana is growing in Pennsylvania, according to a poll conducted by Robert Morris University. The survey showed 67.5 percent of Pennsylvanians are in favor of legalizing medical marijuana, up from 56.1 percent in a similar RMU poll last year. “The number that we’re getting from this latest poll is consistent with national support for medical marijuana, which is around two-thirds,” Phil Harold, an RMU political science professor, said. According to Harold, the rise in support came after Democrat Gov. Tom Wolf announced he would back medical marijuana legislation. Tom Corbett, Wolf’s Republican predecessor, opposed the measure and called for more research before legalization. A bill to legalize medical marijuana in Pennsylvania is currently sitting in the general assembly. Twenty-three states have legalized pot for medical purposes. Two years ago, Colorado legalized recreation marijuana and Alaska did the same one year later. Recreational use is also allowed in Washington state, Washington D.C. and Oregon. “It’s an issue that has gained more public acceptance with other states also legalizing medical marijuana,” Harold said. 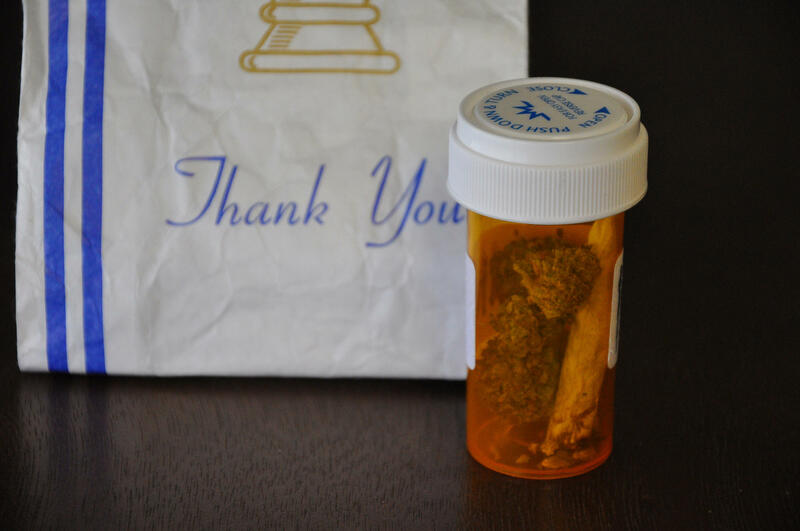 According to the poll, 69 percent of those 44 and younger and 61 percent of senior citizens in Pennsylvania support the legalization of medical marijuana. More Democrats than Republicans are in favor of legalization. And, 71 percent of men and 63 percent of women show support for legalized medical marijuana. Despite the growing support, Harold said marijuana legalization can still be a polarizing subject. Twenty-six percent of opponents fear marijuana would be abused if legalized. Another 10 percent worry people will operate a vehicle while high if pot were made available. State Sens. Daylin Leach (D-Montgomery/Delaware) and Larry Farnese (D-Philadelphia) have also introduced legislation that would legalize and regulate marijuana for recreational use. Advocates supporting medical marijuana legalization in Pennsylvania ran out of time and political good will last year, but people on both sides of the debate expect the issue to remain hot in 2015. The health community is divided, with the state nurses' association supporting legalization, but the commonwealth doctors' group urging caution. Pennsylvania Medical Society (PAMED) legislative counsel Scot Chadwick said, for now, marijuana remains far too mysterious. State Sen. Mike Stack, a Philadelphia Democrat and candidate for lieutenant governor, is proposing to decriminalize the possession of small amounts of marijuana. A local activist group will gather at Point State Park Saturday in an effort to “smoke out prohibition” of marijuana. At 4:20 p.m. Saturday, the Pittsburgh regional chapter of the National Organization for the Reform of Marijuana Laws will hold a moment of silence to protest what it calls the war on cannabis. NORML promotes repealing the prohibition of marijuana. The debate over medical marijuana legalization in Pennsylvania has long transcended political parties -- instead, it’s dividing people into groups that see marijuana’s medicinal possibilities and those waiting for more definitive research. A group of moms fight for the legalization of medical marijuana in Pennsylvania. A bill to legalize medical marijuana in Pennsylvania is getting a second look Wednesday in the state Senate. It’s been about a year since the matter had its first hearing in the Legislature, and since then, it’s gone from a fringe issue to a center-stage policy debate. Most people have attributed that progress to a group of mothers known as “mama bears,” who want medical marijuana to treat their very ill children. Among them is Latrisha Bentch. There was a time when her oldest daughter Anna was not sick but she was still just a little different.